Making sure to eat breakfast before my 8:30am is always the last of my worries on a Monday morning. My biggest concern? Making sure my pants aren’t inside out before I walk into a lecture hall. So why fuss about what I eat while I’m in college? I need fast, easy, and filling food. Without eating before your 8:30am, your body goes all morning while your brain and stomach are searching for fuel! Your stomach is rumbling before class is even over and by ten o’clock you have a hunger headache. Sometimes are bodies are giving us warning signs to tell us something is up. Usually, when your body needs some nutrients to go about its day, it will tell you! It may just be screaming via tummy rumble. Your 10:00 am headache may also be disrupting your concentration because you are dehydrated. Not getting enough water can make our minds cranky and affect our mood. Being hungry and dehydrated can cut into our study time and hold us back from completing daily tasks. Fast and easy foods for us college students usually mean something hot and greasy, something uptown with friends or between classes. Being ‘full’ and being ‘stuffed’ are two different things. If you’re feeling stuffed after eating then you probably should try slowing down while you eat your next meal. Make sure you have a glass of water to sip on in between bites. Talk and enjoy what you’re eating. Make sure to note how what you ate makes you feel later. Are you feeling greasy, sluggish, and bogged down? Maybe it is because of the grilled cheese, fries, and soda combo you chose to splurge on. The simplest (and grossest) way to tell if you’re being healthy on a daily basis: check your bathroom schedule. Drinking eight glasses of water a day will have you using the latrine frequently! After a few of these eight ounce glasses, urine will be the desired pale yellow color. Looking at your bowels is another way to access your health from the past few days. If you haven’t had one of these in awhile then maybe it might be time for some fiber! Try whole grain bread options, or experiment with eating dark green leafy veggies. Being healthy doesn’t have to be a stress on top of all our schoolwork! Carving out time in our days to fuel our bodies (and minds) with food will go a long way. We all want to get A’s but our bodies are also telling us signs of how well we are treating them! Eat breakfast, drink water, and remember to listen to what your body is asking for. 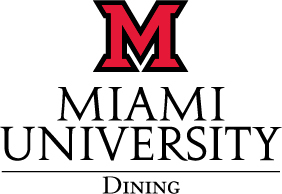 Stay connected and follow @MiamiUDining on Twitter, Facebook and Instagram!